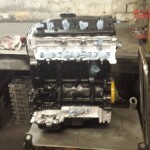 Check out our stock of Re-manufactured/ Reconditioned Citroen Engines for sale. We stock many models including Citroen Dispatch, Citroen Relay, Citroen Jumper and many more. 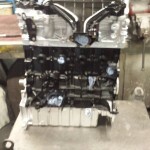 Here at Hayes Engines Ltd we have been supplying Used Re-manufactured/ Reconditioned Citroen Engines throughout the UK and Europe at extremely competitive prices. We specialise in Citroen Dispatch, Relay and Jumper. 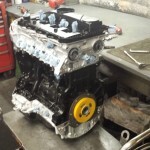 With over 20 years’ experience in dealing with Re-manufactured/ Reconditioned Citroen engines and engine parts all of our engines and parts are re-manufactured to the highest quality. We offer 12 months or 12,000 miles warranty on all Citroen engines. We stock a huge range of Citroen engines and engine parts including models like Dispatch, Relay and Jumper. However we can always re-manufacture your existing Citroen engine, so if you do not find the engine you are looking for please call us today as we can still help you. We also stock Citroen engine parts which include crankshafts, engine blocks, cylinder heads, pistons and many more. Please Note: If your engine is not in the list, please call us on +44(0)1384 898 341, we can re-manufacture your existing Citroen engine. What is a Re-manufactured Citroen Engine? All of our Citroen Engine for sale are properly rebuilt to the highest standards. 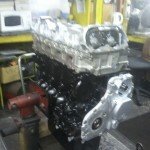 First of all, all engines have been completely stripped, cleaned and inspected for wear and breakage. 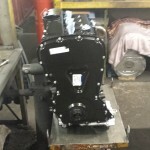 All of the Worn out, missing or non-functioning parts have been replaced with new or rebuilt components. 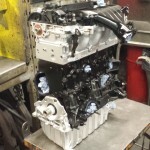 Your new Re-manufactured Citroen engine is the equivalent of having a brand new engine. For more information about any of our Re-manufactured/ Reconditioned Citroen engines for sale or Citroen engine parts please call us on +44(0)1384 898 341 or please fill out our enquiry form.